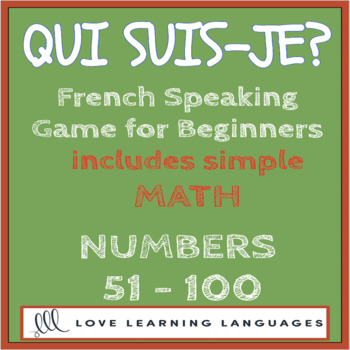 This card game will check knowledge of French numbers from 0 to 100. Students also have to know how to subtract and add (plus et moins). 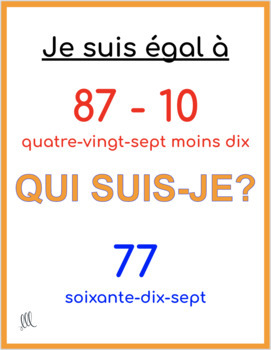 Numbers are critical knowledge in French and this exercise is great to check understanding of numbers and reactivity in French. Students will work on their speed and pronunciation. 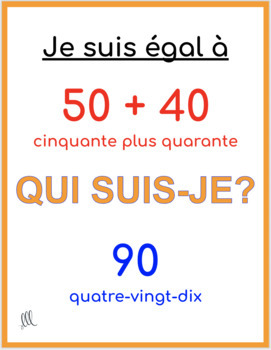 ⭐ Je suis égal à 50 (cinquante) - (moins) 1 (un) - Qui suis-je? 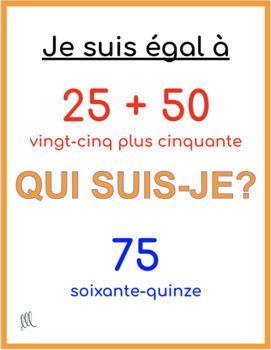 ⭐ Tu es ... 49 (quarante-neuf)! ⇨ Use cards to have students work in pairs or small groups.